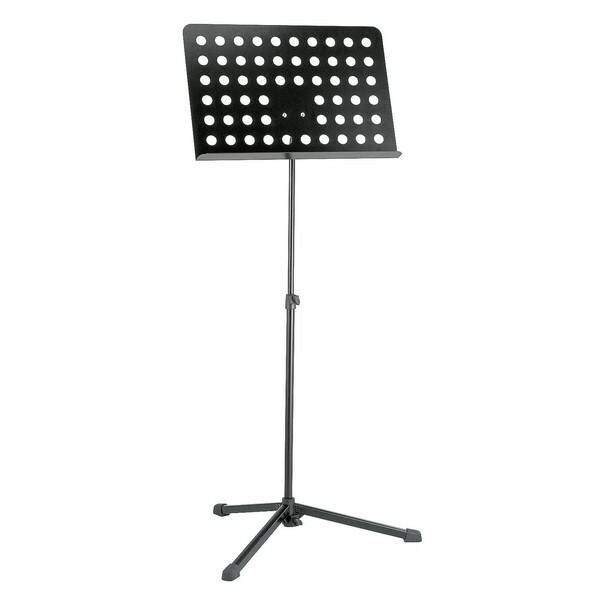 This K&M Orchestra Music Stand is a great solution for travelling musicians. A 2-piece folding design enables players to fold the frame into a compact size. 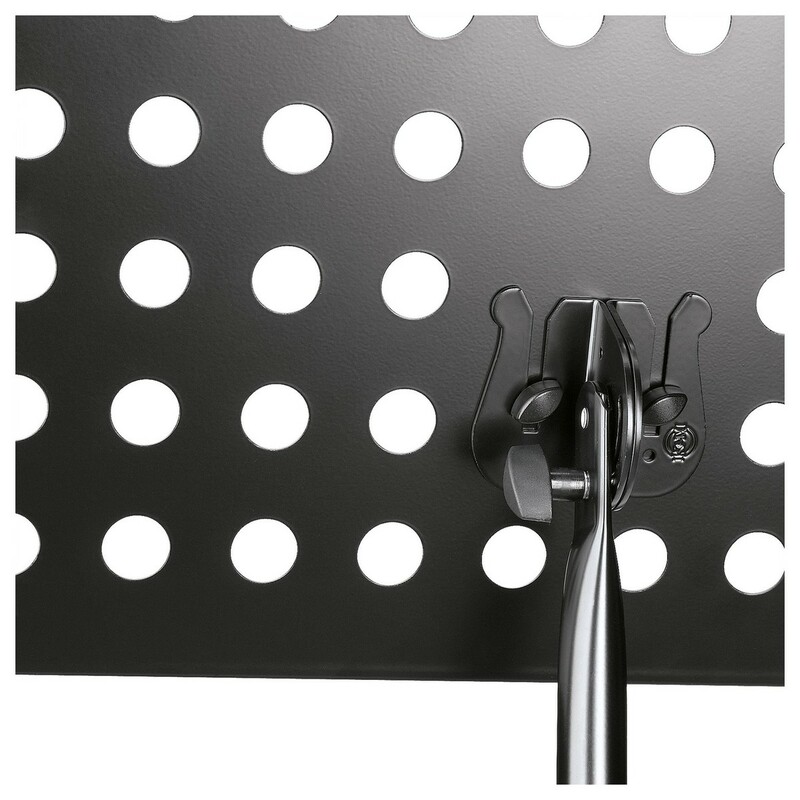 K&M has also included a detachable perforated music desk with an easy-to-use locking screw mechanism. The stand is made from steel and is finished in black. The frame is supported by three u-profile legs with a locking base for optimum stability. Included in the design is a deep music tray which can be used to keep small accessories organised.